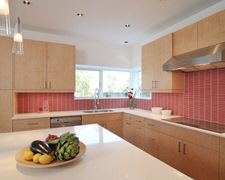 Count on Sheldon’s Custom Cabinets, inc. for custom made granite and quartz countertops for your kitchen and bathroom. Serving Lynnwood, Washington and the surrounding areas. I contacted Mike, the owner of Sheldons to get pricing on custom cabinets for a wetbar, bathroom, and laundry room. He asked me to email him drawings, which I did. I made a follow-up call on a Friday, which Mike answered, and after a couple questions about their cabinets, Mike said abruptly ‘we work 4-10’s and are actually closed today (Fridays) and I will get your bid to you Monday’ and ended the call. He never did follow through with my bid and after repeated attempts trying to find out the status of my proposal Mike has not bothered to contact me. My advice, don’t waste your time contacting this company.